Any horse lover would consider horses the ‘biggest’ species of them all! These are a few pictures of a Cavallo Reiterreisen group from Germany enjoying a South Africa visit with a combined trip to Thanda Private Game Reserve and to Pakamisa Private Game Reserve. They experienced five nights of exciting horseback safaris with the most enjoyable Zululand hospitality on top off the Pakamisa mountain. Then they spent two nights at Thanda’s luxurious tented camp having great sightings with Lions, Elephants, Rhinos and Cape Buffalo. Only the elusive Leopards (one of the Big Five species) made no appearance this time, leaving something to look forward to on the next visit to South Africa. 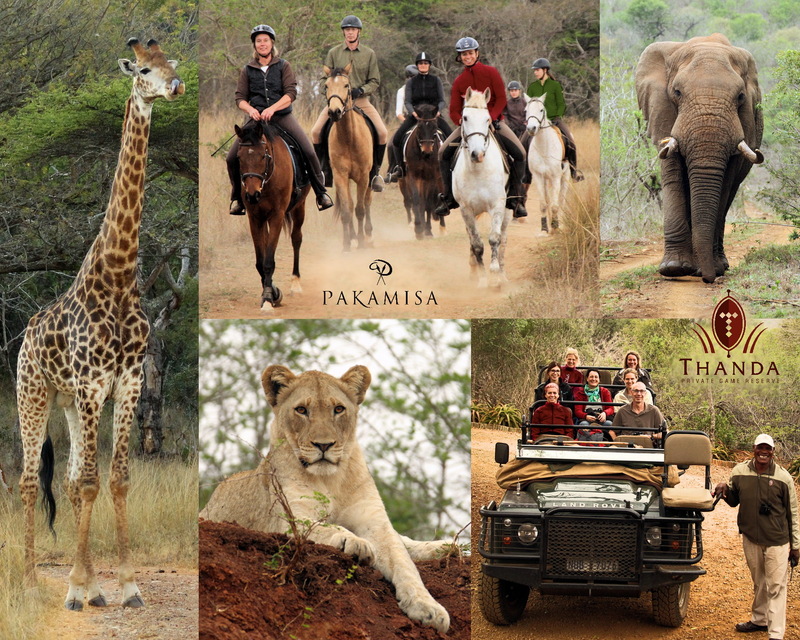 What a combination – Big 5 Safari on Thanda and Horseback Safari on Pakamisa!